Edgar Cayce Versus David Wilcock By Dr. Turi – Dr. Turi M.D.U.S. First and foremost one must realize that I am NOT bashing any of my colleagues, I am just answering another request! Like I did with George Noory, Oral Robert, Haggard, James, Ray, Sean Morton, David Icke, Richard Hoagland, Tiger Wood, John Hogue, David Icke “David Icke Defeat Predicted by Dr. Turi December 1, 2011” and so many others famous and infamous souls, I am educating my readers about the legitimacy and the claims of Mr. David Wilcock being the reincarnation of Edgar Cayce. While David is much concerned like any other person to do well in his own field of expertise, mine is to EXPOSE David’s UCI or his “cosmic” nature as I perceive it through the art and science of Astropsychology. Doing so will help the reader to understand David’s claim and THE DIRECTION of his career and while is successful, David is traditionally educated, well read, and a wise soul on his turf. Now if you have another “victim” you want me to investigate, a politician, a famous artist simply ask because this is what I do using the art and science of Astropsychology and educate our readers through our Cyber Cosmic University. Meantime do not ask me about you, your wife, husband, lover or kids unless you ordered one of my services.. Remember what cosmic consciousness mean reader, there are too many false variations out there and clarification is a good step forward. “God’s Universal Laws are written in light and expressed through the signs – Cosmic Consciousness is… the awareness of God’s celestial divinity , to use it wisely to foresee the future and help others build emotional, financial and spiritual stability!” Read the future – Watch the future! A non cosmic conscious teacher can only deal with his traditionally “educated” rationale and offer valuable plausible intelligible answers addressing to the rational side of the coin per say! But a coin has two faces. By this, I mean there is an equivalent spiritual explanation to any and all question. Because there is an incorporated physical and a spiritual manifesto working in tandem and I am only explaining the latest… The side science, the atheists, the agnostics, the skeptics or the “young souls” are unwilling and unable to deal with because their own over rational UCI did not come with a great dose of “spiritual” luxury. But what has been taught and accepted as singular solid disciplines by the majority does not mean it is true. Thus I am endlessly challenging the old thinking by offering science the option to acknowledge my repetitive and undeniable well documented, dated predictions. Indeed there is much more than what the scientific community educated brain can conceive and all must accept the fact that life itself, is a constant process of changes. Warning; Those who pretend to be the experts in their particular line of work are often the least knowledgeable of the subject they teach about. Most of them will try to convince themselves by convincing you they own the truth, and if you are cosmic unconscious, chances are you won’t have the needed psychical information to judge my claim. This simply means you better upgrade your perception of your immediate world and the people in it, that’s all! UFO”s Are Very Real – And So Is The Legacy! – What Did They Do To Me? Keep in mind that’ there is a BIG difference between education and intelligence or better yet, a true gift or legacy. And as the news unfold so are my predictions…. President Obama says he is heartbroken over the Fort Hood shooting, and “we will get to the bottom of what happened.” Watch CNN TV. Prediction # 2 – Expect a full restructure of the Army and the NAVY due to some foreign powers in need/offering manpower to bring stability in some unstable parts of the world. Many high ranking Army/Navy officers will make international news. Be ready it will be a bumpy one! Now a real prophet should always give you the option to check on his / her gift while anyone else is not to be trusted. So called astrologers, mediums and psychics alike that have nothing to show for but an elaborate English language and a fruitful imagination which are usually one too many and all you have to do is to use logic. Again as mentioned before, the truth hurt and never intended to please anyone and as mentioned before, I welcome anyone to “investigate” my work and I and expose as it really is to the public critical inspection and so far I seem to have more endorsements than made up negative in5d stories on my account. i.e. I love you Dr. Turi. You’re the best! Thanks for all the advice I got 5 years ago when you were on with George Noory. Re: developing writing skills according to the phases of the moon – when you’re at your best. Putting that theory into practice, still not perfect yet but I’m learning things within myself that I still didn’t know even existed. Thanks man…That was the best advice I ever got. Richard Hoagland is one of my many “victims” and happens to be one of David’s close friend! But I admire Richard for his wit and memory following a show and the predictions I made on Coast to Coast with George Noory. Ever since age 2, David remembers having dreams of massive, metallic cylinders floating in the sky, along with bizarre psychic synchronizations during the day. At age 5, David had a spontaneous out-of-body experience that greatly crystallized his quest for the truth of ESP, metaphysics and consciousness. 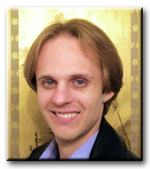 Welcome to divine cosmos, the official internet home for the work of David Wilcock. Within this site are thousands of free pages of scientific and spiritual information about soul growth, ascension and the evolution of consciousness. David Wilcock is a professional lecturer, filmmaker and researcher of ancient civilizations, consciousness science, and new paradigms of matter and energy. His upcoming Hollywood film CONVERGENCE unveils the proof that all life on Earth is united in a field of consciousness, which affects our minds in fascinating ways. David is also the subject and co-author of the international bestseller, The Reincarnation of Edgar Cayce?, which explores the remarkable similarities between David and Edgar, features many of David’s most inspiring psychic readings, and reveals documented NASA scientific proof of interplanetary climate change… and how it directly impacts our DNA. DT Rebuttal: As mentioned many times “a magnet will not attract a piece of wood” and the scientific platform / information is what “connected” Richard Hoagland (a former NASA consultant) and David Wilcock’s intellectual talent involving anything and everything scientific he speak of and related to NASA. I cannot say the same with my own “connection” with Hoagland because I vibrate at a much higher spiritual level than he does but we both share the same respect for each other in our intellectual differences. Let me put it this way, to a logical soul like Ooagland, I sell cosmic dreams and horoscopes and he sells real carrots and potatoes… Our shops, clients, friends and acquaintances (and UCI) are very different and this is what makes us so human. Incidentally, while so many people assume I am a psychic, I am more logical and practical than they could ever be and many do not know I am using the same type of software as NASA uses to do my “predictions” charting the world, people idiosyncrasy and fate. There is absolutely nothing connecting any living human beings “psychically” based solely upon the study of DNA alone! In fact science is connecting you singularly to your genealogy tree and family members through the PHYSICAL plane ONLY! No one to blame though, they are all the victims of the scientific educational matrix in need of your financial support for Mars One deceptive mission! The fact is your closest family members will be, “mentally speaking” your biggest strangers… While you “genetically” look physically like your loved ones, in no way will you ever, think, behave, believe, feel, experience learn, trust, react or communicate like any of your siblings or even your parents. Far from it and I am sure you can only agree with me on that one! In fact only last night, by accident I landed on a religiously poisoned Glen Beck talking about the passing of his dad and how far apart he was mentally from all his family members. Gee and this guy owns a good chunk of the media? The chances for me to educate him on God cosmic consciousness and his personal UCI, on his own syndicated radio show is ZERO! Incidentally, Richard, David like 99.09 % of the people walking this earth have yet to upgrade their perception to a spiritual cosmos (and a cosmic God I would love to teach the world on TV ) they know nothing about, but for now the TV series Cosmos will do! Thus, it is very important to read about Richard’s *scientific UCI “The Stars And Fate Of Richard Charles Hoagland” published August 1st 2010 to appreciate the facts of his psychical make up. David and I are Pisces and this sign is renowned to have a natural aptitude for“astral projection”and remote viewing. God knows how many times I caught myself flying outside of my own body as a child. So do not think Nostradamus, Cayce, David, or I are exceptions because they are billions of people who have inherited a serious dose of Neptune in their chart! Realize also you could be born under any sign of the Zodiac and still experience astral projection! Blame this psychical gift on your moon sign, your rising, your natal of hidden dragon in Pisces for this incredible phenomenon. But this is my expertise, my turf and you will appreciate my Pisces/Aquarius perceptive nature as you learn more about David’s similarities to Edgar Cayce. The End Of The World Nonsense! I never heard David commentaries on Coast To Coast with George Noory before; I am much too busy writing for the world but if you ever depict a “doom and gloom” scenario or anything religious then you are dealing with a Neptunian. Regurgitating the bible quotes and apocalyptic fears shows another non cosmic conscious loss soul totally unaware of the power of the supra-conscious in time and space and the working the Cosmic Code. In fact this type of soothsayer / ghoul is very dangerous for the survival of humanity at large and an serious hindrance to humanity progressive psychical welfare. Years ago, I heard Richard Hoagland’s affirming (from his reliable scientific sources) a HUGE building and gas explosion coming from the sea bed of the Gulf of Mexico. All this transpired during the oil spill madness discussed on Coast To Coast! DID THIS HAPPEN? No, luckily it did not, now on the same national show heard by millions, did you pay attention to my words when I said to George, “I trust the human genius to fix this problem?” If bets were open between trusting science or Dr. Turi predictions who won on this one and so many other predictions I made in the past? Like any other famous “talking Heads” we are all subject to bashing and that is the price one has to pay to face the often ill informed public. The question is are you ready to deal and digest the truth? Now if you were Hogland or Wilcock, how would you feel reading such vitriolic on the net? Memo: A private plane carrying a former head of NASA and, former Sen. Ted Stevens crashed Monday night in a rugged stretch of Alaska. 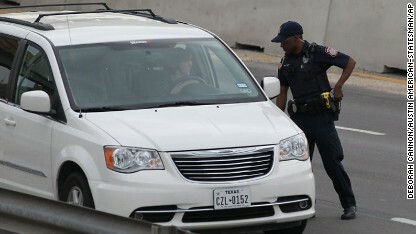 The crash left at least five people dead, and crews have arrived to help survivors. EADS North America said its chief executive officer, Sean O’Keefe, a former head of the National Aeronautics and Space Administration, was a passenger on the aircraft. Memo from Moon Power excerpt – Full Moon — July 26, 2010 in the explosive sign of Aquarius: Indeed a very bad timing for President Obama let’s hope his security and advisers read or listener to my heed and the power of the cosmiccCode. Expect some serious surprising or shocking developments to take place in the near future. NASA could make shocking news again soon, especially if they avoid using the value of the stars. This is the same energy that produced many mishaps with expense electronic equipment and the death of many courageous astronauts. Also under Uranus power the Middle East suffered the “US surprise bomb attacks” on Saddam Hussein’s forces in Iraq and under the same energy Israel invaded Lebanon. This energy can affect sophisticated electronic equipment and could produce bad aeronautic accidents. If you have to trust someone doing predictions on radio and offer you SOLID PROOF AFTER THE PREDICTIONS make sure it sound like this… or like this one with Art Bell back in 1995? No I am not a doom Sayers and refuse to be part of these many apocalyptic Nostradamus / 2012 doom and glooms television shows, where all those talking heads have absolutely no Cosmic Consciousness or the understanding of Nostradamus’ curse and astrological work. Some profess their prophetic scientific views yet where is the results and the collection of their publicized predictions? They are too many Nostradamus or Edgar Cayce wanna be nowadays and too many of these destructive apocalyptic programs feeding on your subconscious induced religious fears where pure imagination eradicate legitimate cosmic information. Reaching for God in the stars above! WHAT WILL HAPPEN AFTER THE YEAR 2012? 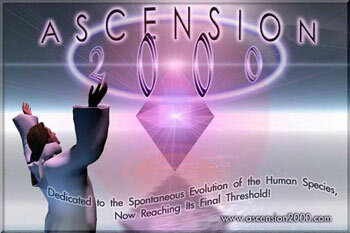 The year 2012 will come and pass like the year 2000 and the Harmonic Convergence will open a golden door where many of the planet’s “false structures of separation” *religions / Pisces Age, will begin collapsing and a new face of God and his celestial tools *Aquarius / Stars, will be readily introduced to the world. This harmonic Ccnvergence is an upgrade offered to the human spirit, an unseen cosmic magnetic field *forcing humankind to realize once and for all that; the God they have been religiously trained to love and respect for centuries, and his *commandments are NOT what they are. As the years goes by only a few advanced souls with proven spirituals values and predictions will become the new powerful spiritual Leaders where education, Cosmic Consciousness and the plain truth will replace fears, ignorance, deception and chaos. When men realize the church is the universe and the twelve Apostles are the twelve signs of the zodiac, God’s commandments written in Starlight will bring true love, respect peace and harmony to this world. The Harmonic Convergence will give humankind the ability to investigate and perceive God’s Celestial Divinity. Love, respect peace and harmony depend in understanding and respecting the creator’s highest celestial orders cloaked in the “Universal Code”. At age 7, David read his first full-length adult paperback book about ESP, entitled How to Make ESP Work for You, by Harold Sherman. He conducted successful telepathic experiments with his friends, and demonstrated repeated psychic accuracy while still in second grade, culminating in a classroom demonstration of his abilities. Click here for the latest article that relates to this page David’s parents divorced when he was 11 years old, and he quickly began gaining weight through emotional eating, trying to stuff his pain with food. As he got larger he started wearing black T-shirts to try to hide the weight, and became increasingly socially isolated. 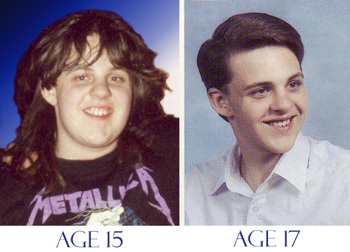 He reached his heaviest and most depressed point at age 15. At age 16, David committed to a weight-loss plan, and soon had the first of an ongoing series of lucid dreams, consciously induced through a technique he learned in Dr. Stephen La Berge’s book, Lucid Dreaming. He lost 85 pounds by strict dieting during this year of his life, going from 225 down to 140. Perhaps 20 or so of those pounds were in his hair alone… you’ve gotta admit he cleans up good! DT Rebuttal: David should read my book “The Power Of The Dragon” and acknowledge he was born with a Cancer (food/family) Dragon’s Tail (negative.) This dragon enunciate lots of past lives experienced as a shy, sensitive, caring, insecure female. This signify why karmically David had to suffer emotionally in his upbringing with his parents’ separation and may seek refuge with food. ALL Cancer Dragon’s Tail do so and often feels like a balloon – i .e. Oprah Winfrey endless battle with weight and food because she retains WATER in her cells! YES YOU’RE RIGHT DR. TURI, IT IS ALL IN THE STARS ABOVE! And this is why humans are the cosmic legacy, the immaculate essence of those stars, all living unconsciously under the Universal canopy in the unique reflection of each UCI regulating each and every human being…But what our dry scientific community and NASA people knows about the Cosmic Code jurisdictions or the complexity of the human UCI? David later graduated from the State University of New York at New Paltz with a BA in Psychology and a Master’s equivalent in experience from his internship at a suicide hotline, completing his formal education at age 22. David’s “graduate studies” with Higher Intelligence had already begun at age 20, by fully reading and absorbing an average of three metaphysical books per week; he integrated over 300 metaphysical titles between 1993 and 1995. David’s Internet research began in 1996, and soon replaced books as the predominant medium of study. Though Internet writing is often lower in quality than published books, it also contains much that cannot be found in libraries and bookstores, and the search functions are irreplaceable. We now have nine feet worth of books from printed website articles, which David organized with a binding machine. This massive archive has spawned all three CONVERGENCE books published freely on this site, with book III, Divine Cosmos, being the most sophisticated in content and in writing style – hence the new name of the website. This archive also spawned Part III of “The Reincarnation of Edgar Cayce?” and the material for a trilogy of CONVERGENCE films – and we’re still only using a small portion of what we uncovered, though we do feel it is the BEST portion – the most inspiring and scientifically sound. Any lengthy education does NOT make anyone more intelligent when the memory muscle is used to recall the codified information. Someone who thinks out of the box and force you out of your scientific or religious safe comfortable zone like me shows real ingeniousness. David was born with Saturn (the fear principle) in Gemini (books/curiosity) and enunciates why he is a natural *scientist” and collects books as a “safety” procedure. David is another professional student reflecting a serious fear of not knowing enough. This mental “inferiority” made him shy and insecure with others while growing up and he changed from hard food to spiritual food to build more self esteem through his accumulated wisdom. Thanks books don’t make anyone fat…Now remember my words earlier? “A magnet will not attract a piece of wood?” In his own battle for suicide David “attracted” this “internship suicide hotline position, secondly Richard Hoagland inherited the same Dragon Head and Tail t*Capricorn/Cancer axis than David and you wonder why they are directly involved with each others and with NASA? This is the most logical, rational, calculated, book starving engineering sign of the zodiac, constantly lead by his lucky Capricornus dragon to climb the ladder of success. David is very conventional, very well read, very smart and a born scientist. I am CAPRICORN, child of Saturn. Make you think of the mental similarity and obvious attraction between those two rational souls yes? But what quite interesting in David’s UCI is the serious conflict between his Mercury (the mind) located in the psychic sign of Pisces (imagination) and its earthy rational Capricorn Head. And this is where the similarity with Edgar Cayce and David comes from because both were born with similar intellectual “spiritual” predispositions. To summarize, David’s Dragon’s Head (growth) in Capricorn (the scientist/NASA) makes a hard square (challenging) aspect producing an interest in both science and the paranormal. No one is targeted, blamed nor their intelligence diminished because both, Richard and David are destitute of true Cosmic Consciousness. This makes it difficult to auto analyze themselves, actions career and idiosyncrasy accurately… And this is why I am here to expose and educate everyone willingly or karmically landing on my work. David is set to attract the right people because his protective Dragon’s Head in Capricorn (building recognition traditionally) is located right in his 11th house of wishes and friends… Thus he attracts the Capricornus “NASA” friends and business associates than can only promote his endless climbing to the top of the mountain of success. My best wishes is for David, another Pisces dedicated Universal teacher! I WANT TO BE EDGAR! 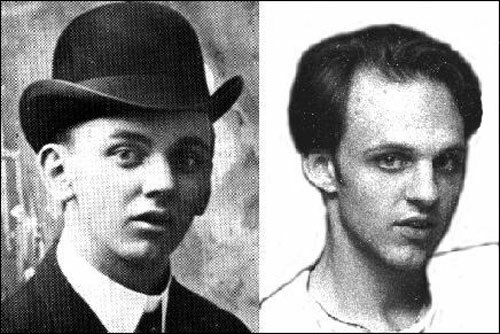 Comparison Pictures: Edgar Cayce on left and David Wilcock, right. “Pictures of the average person taken at corresponding periods of two or even several lives would show little difference. The physical parents may or may not be the same, but the features furnished by heredity no matter from what parents, are the same for a string of lives, with the ordinary person.” – Thinking and Destiny, H.W. Percival. DT Rebuttal: Again there is absolutely NO correlation/relationship between the parents’ spiritual features (UCI.s) and those of their progeny. I doubt very much any of David loved ones think, teach or write the formidable way he does. Once more DNA (the physics) and UCI (the spirit) are in total opposite polarity and can never be duplicated nor inherited twice. It is a very different story when dealing with physical similar opportunities, indeed there are million of Elvis out there who look like him. Again Nostradamus’ son Cesar never made history as a doctor or a Prophet like his famous father did and I let you check your own connection with your own mom and dad and see how *spiritually similar you really are NOT! Harold Waldwin Percival was born in Bridgetown, Barbados, British West Indies, on April 15, 1868. The soul’s purpose for anyone born in April is to find oneself and like Edgar Cayce, Nostradamus, Madame Vladasky H.W Percival was born with a Dragon’s Head and Tail Pisces/Virgo. Both signs are feminine, very shy, very modest much into natural healing and the spirit dictating why they all shared the same type of thinking and similar professional fate. Sorry David your Dragon Head and Tail axis is NOT a generator of true “visionary/psychics and natural healers.” Just the opposite and you are using your down to earth, scientific Capricorn engineering gift to EXPLAIN it all rationally. Nothing wrong with this my friend, I love to know how a car gear box works, but the Universal gears are spiritual in nature and only studying the cosmic code will offer you the cosmic consciousness you currently lack. For if you had it, you would offer unarguable, verifiable predictions to your vast audience. And you don’t because you do not own the cosmic code keys just yet! Imagine for a second if we were working as a team, instead of me educating you via my articles on your cosmic nature? The obvious signature of a true Prophet comes from my findings of the Dragon’s Head sharing/riding the sign in of Pisces in mutual reception. And this is NOT a cosmic accident but a repetitive, provable scientific fact I offer any modern astrologers checking on the North Nodes position of each famous individuals. I am cursed with my own Dragon’s Head blessing my critical thinking, leading me to the exact similar fate as all prophets of the past. I have like you the Pisces passion for healing, the dedication to help others while my fiery competitive, direct Aries Dragon fire spirit is misjudged as an ego trip! “The senses… are registered in our physical bodies in such a way that they are stamped upon our very faces. These senses… [seek] expression of the inner self – of which our physical bodies are material representations. For not only do the impressions received through the senses show forth that which is magnified in a single appearance or experience, but the whole impressions that have been received through all of our experiences, the registering being in our souls.” — Edgar Cayce, A Search for God. This lucky “break” took place when Edgar Cayce got hypnotized for the first time by another colleague. Pisces rules hypnotherapy and the subconscious, thus this *accident opened a bran new door a young Edgar needed to fulfil his own mission within the realm of supra-consciousness, paving the way to make a good use of his God given gift! Yes this new revolutionary astrological discovery is as valuable is not more beneficial at a personal level as Jim Lewis discovery of Astro-carto-graphy relocation chart. I am offering anyone, everyone the option to GAIN such a powerful information for $100 via the Internet, then a year or so from now you will be able to say Dr. Turi’s work is BULL or damn he is so right! Check it for yourself then email me I say! Nostradamus was wrong when he said he left all his work for his son Cesar hoping for him to carry on his spiritual legacy. This never and could never have happened because his son had a different UCI. Edgar Cayce was also mistaken when he wrongly mentioned that everyone COULD do the same thing he was doing naturally. The fact is plain to see because since his death NO ONE has been able to duplicated his remarkable psychical talents. But when the majority of people reading my work do not possess Cosmic Consciousness how can they get a grasp to my claim or handle the Cosmic Code rules? It’s like asking for directions lost in the middle of Beijing speaking Spanish to a blind Russian guy that happens to be deaf and that is my dilemma. For David to compare pictures of himself and Edgar Cayce sound like me saying I want to be Nostradamus… I never pretended to be Nostradamus publicly because the only thing we have in common is the beautiful sunny South of France“La Provence” and all the same local stars shining above when we both arrived on this world. There are NO reasons or need for anyone to try to impersonate anyone else. We are all majesties in our own right and loaded at birth with great gifts that demand expression. Like Edgar Cayce some people will stumble on them while others have to work a bit harder to uncover their God given cosmic divinity. And this is the difference between me and any other Neptunian “spiritual anointed” human beings… Ridiculous at best! View the amazing synchronicity between Edgar Cayce and David Wilcock’s natal charts – virtually all inner planets are in the same positions on the two charts, with neat aspects for the outer planets. When the outrageous similarity in facial appearance, soul purpose and psychic ability is factored in, “chance” or “coincidence” is eliminated. This sound very much like the “essay” I wrote on my now *ex friend Sean David Morton – American Greed, Sylvia Browne and Montel William (God bless her soul) or even Dr. Laura Schlessinger not to forget totally insane Patti Stanger Millionaires Club. The only similarity between Edgar and David is that they share the same Pisces Sun (soul’s purpose) this means both must learn all about being a Pisces, to deal, swim towards the intangible subconscious and swim upstream towards God cosmic consciousness where he resides in the stars. His Mercury (the mental critical process) is also in Pisces where his imagination could easily override his reality and Venus also in benevolent Pisces shows David natural kindness. The most important elements are the natal inherited and Hidden dignified Dragons in Pisces that he shared in common with Edgar Cayce, Nostradamus, Madame Vladasky and H.W. Percival to name a few. But David’s natal Dragon in Capricorn (like Richard Hoagland) is much stronger and reflects more of a NASA scientist’s approach to life and concerned with status and notoriety as a N.Y best seller. America’s most accurate and documented psychic was Edgar Cayce, the “sleeping prophet”. There are numerous indications that David Wilcock is connecting with the same source of information that supplied Edgar Cayce with his data and may well in fact be his reincarnation. This article introduces you to David Wilcock, the story of his work and the main philosophies of this site. DT Rebuttal: That is totally impossible because the main ingredient or a natal Pisces Dragon’s Head and other spiritual planetary aspects are missing in David’s karmic UCI. The very source of intuitiveness is coming from the 12th house regulating the subconscious’ operations and in this house David has Jupiter *the teacher/the philosopher in the sign of Aquarius. A sign that rules astrology, Astropsychology, UFO, NASA, computers, the Internet all in his 11th house of wishes and friends. Providing David decides to put the ego aside, build real cosmic consciousness and stop associating with Edgar Cayce ’s visionary gift and master the Cosmic Code, there is no limit to where he would go. But is he interested in growing up and swimming upstream with another older fish? David like me was born with Jupiter (the teacher/philosopher) in Aquarius (the Internet/UFO etc.) and it is not an accident for both to land on Gaiam TV. Sad enough fate has it one of my Internet fierce enemy is the producer there at the station and killed the opportunity George gave me to teach all the cosmic secrets to the world. God has a plan that is all and all is that! Our own respective world wide reading learning audience is growing drastically day after day and I maintain my position when I assure the reader that, “you will never find the golden keys to the Universe with Cosmos or any non cosmic conscious teachers. Being honest, real and direct and committed to the truth, forces me to expose people as they really are and not as they want to be or perceived as… I am myself NOT free of any human shortcomings, far from this trust me but I am courageous and honest enough to let you appreciate my own weaknesses and I can laugh about it. Why? Because being truly knowledgeable makes me confident because I am REAL and also RIGHT! David was also tasked by Richard C. Hoagland to upgrade his interplanetary climate change research to a whole new level, and this necessitated a relieving end to the basement labor by the beginning of April. Up until the Hoagland initiative, David had relied heavily on the work of Russian Dr. Aleskey Dmitriev’s studies to argue that our entire solar system was rapidly becoming brighter, hotter and more energetic. Hoagland insisted that all Russian data needed to be thrown out for the purposes of skeptical Western scientists, and every point needed to be argued from a direct NASA study. This again proves that the main Capricorn *scientific dragons David and Richard both share lead them to their “NASA” scientific relationship. When the Sun and the stars are only perceived as lifeless cosmic bodies in our solar system, there is NO way for me to communicate the spiritual values of these luminaries. Scientists are well known to tear each other apart for answer they all have been enslaved to uncover and will never have unless they rekindle the spirit of all those planets. In my mind who cares about the Sun dying i a few millions years from now? TODAY is more of my concern because I know how to hear the spirit of those stars and read all the warning signs. Those stars are ageless, the universe endless and who cares who will win the debates of us cooking a few billions years from now? None of those mental snobs will be here then to debate their educated spiritual pride! Venus id too hot (400 degrees) and Mars much too far away and too cold to be habitable. Stop wasting your tax dollar for the scientific and religious controlling educational matrix hyenas. They are all psychotically inbreeding their “educated” kind to live a selected scientific privileged life at your expenses. LET MAKE MORE NASA BABIES AND BUILD MORE ROBOTS TO AMUSE OURSELVES! The first complete volume of Convergence was posted on March 8, 1999, on Wilcock’s 26th birthday. The second volume was completed in late 2000, the first volume largely rewritten in 2001, and the third and most important volume, Divine Cosmos, in April 2002. In September of 1997, David was told in a consciously induced OBE to move to Virginia Beach, Virginia. As soon as David arrived in Virginia Beach, many A.R.E. people recognized him as the spitting image of a young Edgar Cayce. I DON’T WANNA BE YOUR TIGER. David because you look like Elvis does not mean you will be able to sing or move like Elvis! Then, in November of 1997, after considerable speculation from self and others, David confronted his Source directly about the possibility of having been Edgar Cayce in a past life. The source said that “in short, the answer is yes… and with this knowledge comes great responsibility”, and other than the start of the channeling itself, this was by far the greatest surprise of David’s entire life. It was extremely difficult for him to accept this, but the readings insisted that he talk about it with others and spread the word. They also insisted that he either begin doing readings professionally and publish books for free online, or he would completely lose his ability. DT Rebuttal: This is a very noble thing to do offering books for free David, and I did so since 1991 when I first got published, after all wisdom must be shared. Well how can I remain gentle and decent with David vivid imagination? It is so important for me to make sure by “exposing” David’s UCI, his stars, fate and inner spirit I am rendering HIM a favor because, as a Pisces he was born with the gift of divination. There are NO accidents for one of my reader to ASK me to expose his UCI but what is the purpose to so in public? I do not CHOSE anyone but respond to people’s requests as to introduce my readers to Astropsychology. I did this work with the sole purpose in mind to explain how the cosmic code operates and how the stars rules David’s psyche. I have no bitterness or hostility against Richard or David or anyone else (apart a few) because my own mission to free humankind from fears and cosmic ignorance is crucial to humanity. I want to thanks all “my victims” and sincerely apologize if in some way (and I do) I have hurt their feelings. All I can say is, my reading audience DESERVES the right to know all about David’s integrity because he is also a public person. And for so many people to enjoy his work speaks of his talent, convictions and the teaching powers only Pisces possess. Thank you for being a man of your word. The Stars and Fate of David Wilcock just recently posted is informative and helpful. Serves to clear the air regarding the Cayce/Wilcock reincarnation issue. Of all the person’s known in earth history which of them truly functioned from a developed UCI?? I know you have referred to some of them. Are there any that we will know from history. Those who were true examples of developed UCI???? DT – Indeed Lorian…Plenty not only Einstein or Hitler but so many more. I wrote intensively about famous and IN-famous people that made history in The Power of the Dragon and there is so much to teach about it…I am glad I could fulfill your request about David. I proposed him all my books for free; while someone from divine cosmos emailed me for “abusiveness”. Remote Viewing Flight 370 cockpit, the real story! Now ready for our VIP’s. You gave us a lot to think about and work on. The healing on myself has helped my prostate problem. Linda was very impressed with your reading. Best Wishes. I suffer from Occipital Neuralgia for years….. Whatever you did released all the pain! Greetings of love, honor, respect, and immense heartfelt thanks and gratitude for a most profound and remarkable visit with you, Dr. Turi! It has been a whirlwind of activity since I saw you Tuesday. I have just arrived back at MD Anderson Cancer Center in Houston and wanted to send a brief email to convey my gratitude and thanks to you. What a privilege to meet you! What an awesome healing and learning experience with you! I am doing very well since my incredible session with you. A huge up leveling of energy is pulsating through my body. I hardly slept on Tuesday night, but all seems to be beginning to balance out at this time. I love you Dr. Turi, you’re the best! Thanks for all the advice I got 5 years ago when you were on with George Noory, re: developing writing skills according to the phases of the moon -when you’re at your best. Putting that theory into practice, still not perfect yet but I’m learning things within myself that I still didn’t know even existed. Thanks man. That was the best advice I ever got. I want to say that was the most comprehensive treatment I’ve ever had in one session. I have had reflexology, chiropractic, ortho bionomic, aura clearing, chakras balancing, energy work such as reiki, crystal healing, and many other things since I choose to not use Medical care (drugs or surgery) to treat health issues, or should I say to treat sickness issues, and your treatment, Cabalistic healing, was the most comprehensive and healing in one session I have ever experienced. I feel so much lighter and hopeful now. I do expect to see ongoing results from what you did. The astrology session was fantastic, I understand myself so much more now and why things go the way they do in my life. I thank Spirit for you and your work. This was the best birthday present I have ever given myself, what I got for the time and money I spent was way beyond my expectations. 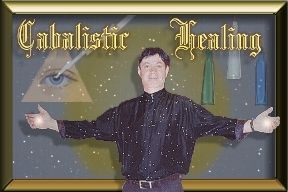 I shall recommend your Cabalistic Healing session to anyone on the path to knowing themselves and wanting to be healthier than they ever thought they could be. What people need to understand is that sickness comes from the inside out and all the drugs and surgery they do does not correct the issues that cause the symptoms they experience, what is done in your sessions gets to the root of the cause of the symptoms and works at that deep level really creating a healing. Thank you again. WOW Dr. Turi! What an awesome service this is. I am very surprised by the depth and content of the first newsletter. Thank you so much! I can’t believe we are going to get this for a full year and at such a nominal price. Thank you very much for this newsletter. The detail within it is almost overwhelming. It will need intensive study. I’ve found those to be very helpful and they are always right on. Good show last night Louis! You sure overdosed them! At least you gave them something to think about. Thank you for such a wonderful radio show last night.